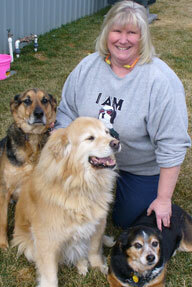 K9 Country Club opened in April of 2006 under the care and direction of Laurie Mosher, a licensed veterinary technician since 1994. Born and raised in Yakima, Washington, Laurie began her professional career in pet care in 1986, working for the next 12 years in local animal clinics and an equine practice. In 1998 Laurie was hired as the instructional technician for the Veterinary Technology Program at Yakima Valley Community College. She worked at YVCC until opening her own facility. With more than twenty-five years of professional pet care experience (plus years of loving dogs, cats, horses and an Amazon parrot of her own) Laurie is known and trusted to provide the highest quality of care for the dogs at K9 Country Club. 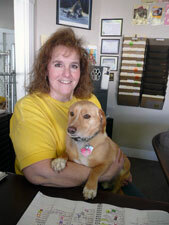 Laurie employs a dedicated staff of people who strive to provide exceptional care for the dogs who visit K9 Country Club. Nancy runs our front office. 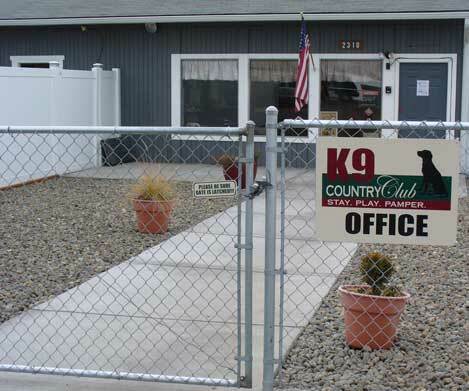 Amenities at K9 Country Club include an overnight boarding facility (approximately 6,300 square feet) and a separate day care building (approximately 6,000 square feet), with indoor and outdoor play areas that include approximately 5,000 square feet of grassy areas. Our property is surrounded by rugged vinyl fencing. A security alarm system and smoke detectors are installed for added safety. Visit our Boarding page for information about our overnight boarding facilities. 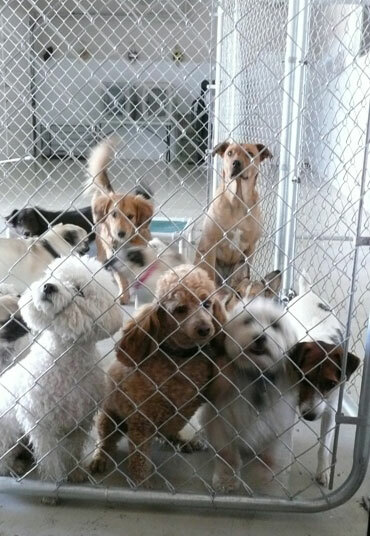 Visit our Doggie Daycare page for information about our daycare program. We have two indoor play rooms, one for smaller dogs and one for larger dogs. These rooms are used primarily in extreme weather (hot summer days and rainy, cold or snowy days). Both rooms have access to the outdoor play yards and are generally open to the outside. 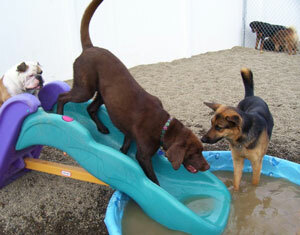 We have two main outdoor play yards, one for smaller dogs and one for larger dogs. The footing in these outdoor play yards is pea gravel. In the summer, our outdoor play yards feature several kiddie pools filled with water, along with play houses, slides, shade umbrellas, and other equipment for the dogs to play on and in. In the winter, dogs love to play catch with snowballs.